Today 14th May 2013 is the 10th day of the grand Uthsavam of Swami Emperumanaar. 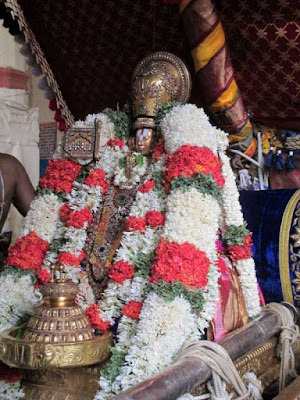 Today is the most auspicious ‘Thiruvathirai in the month of Chithirai’. Today is the day when Acharyar Ramanujar was born on this planet for imparting knowledge to all and to guide us in the right path towards Sriman Narayana. 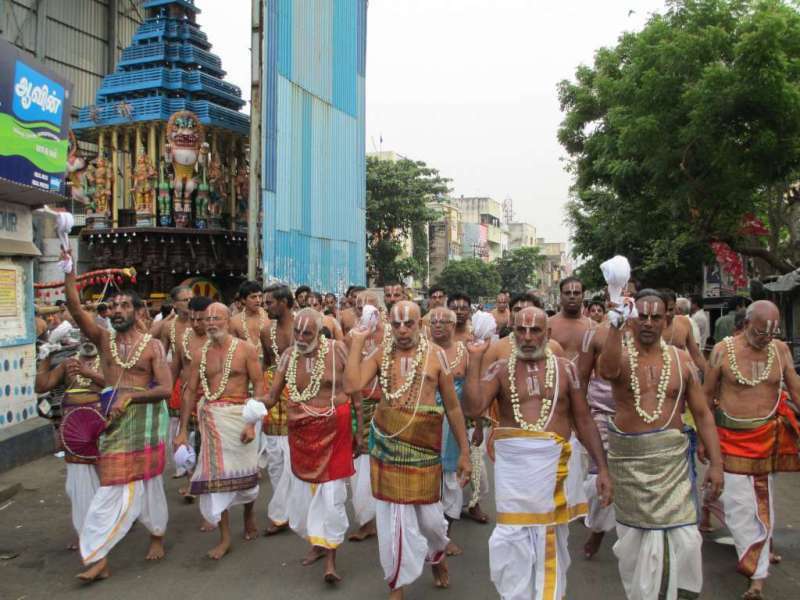 Sri Ramanuja Acharya toured the entire Country, making the Srivaishnavatie tradition flourish in all his path. He was a great administrator too. He created flawless systems, corrected the administration of Sri Rangam ensuring the proper maintenance of the wealth of Lord Ranganatha and creating teams to properly continue all kainkaryams to the Lord. 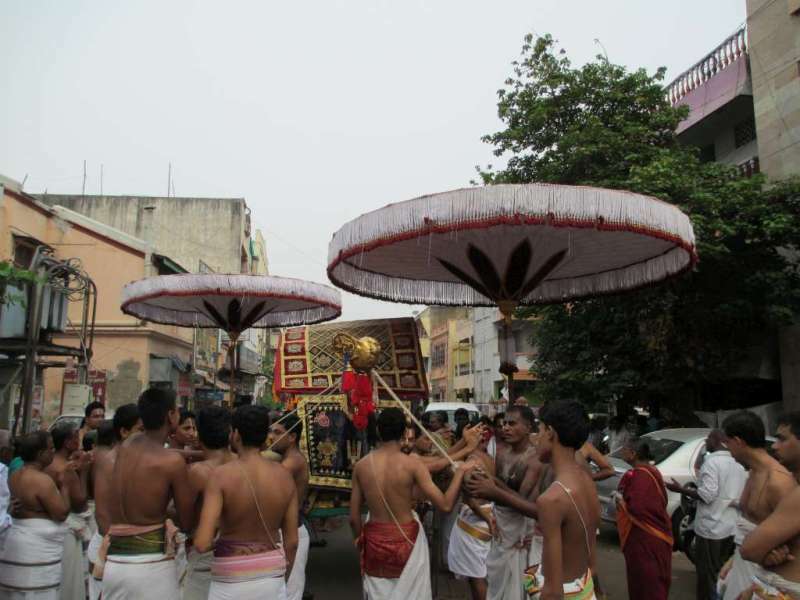 The fountain of knowledge, he was, he provided wealth of knowledge through his many works which include the Magnum Opus ‘Sri Bashyam – the Vishishtavaida commentary of Brahma sutram of Vyasa Bhagavan. ; Vedantha Deepam, Vedanta Saram, Vedanta Sangraham, Gadyathrayam and many many more…. 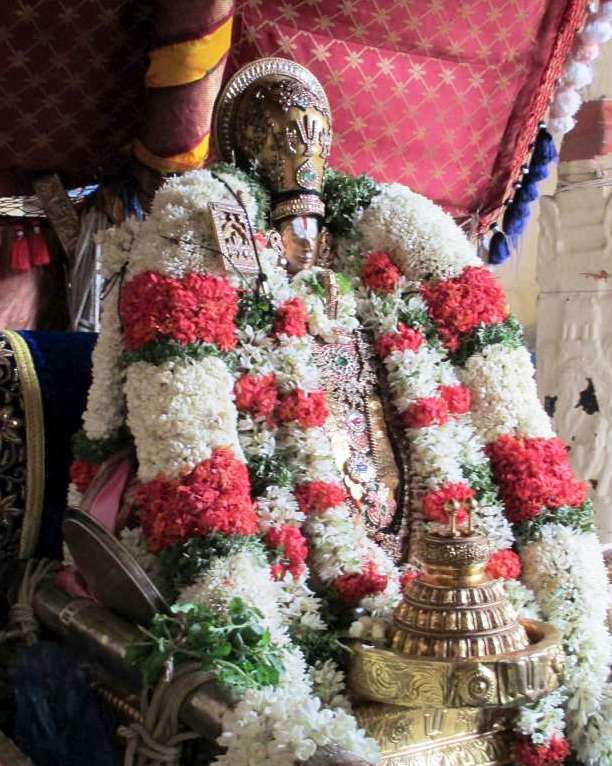 Of these the 3 Gadyams – Saranagati Gadyam, Sriranga Gadyam and Vaikunda Gadyam collectively known as ‘Gadyatraya’ are in someways considered to be swan song of our Acharyar. The Saranagati Gadyam is live exposition of the doctrine of ‘prapatti’ – the total saranagati. Sri Ramanujar prays that thee Lord may be pleased to bless that his sincere and true saranagati at the lotus feet of Srimannathan be accepted as truly and well-performed and lead to the desired end without any interruption. 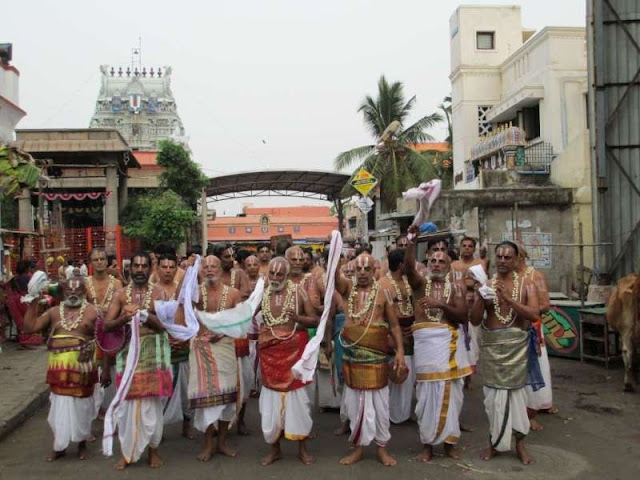 Our Acharyar describes the unique qualities of NamPerumal with words ‘Sathyakama, Sathyasankalpa’ which would mean the most loveable quality of resolve to protect His devotees and the will to be incarnated in any form to come to the succour of devotees – He is Creator, Protector and Sustainer. 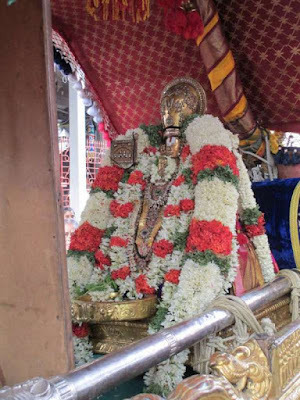 இன்று 14.5.2013 - சித்திரையில் செய்ய திருவாதிரை நந்நாள். 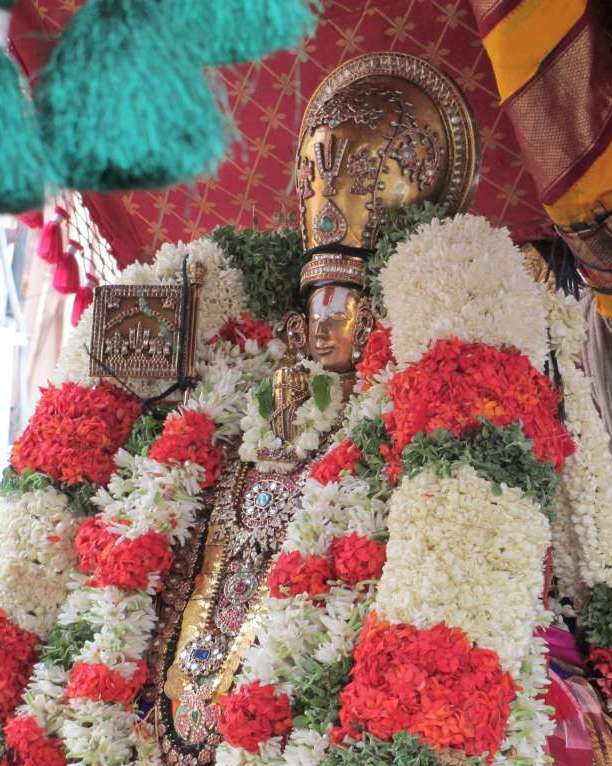 நம் ஆச்சார்யன் இவ்வுலகத்தில் வந்துதித்த சீரிய நாள். 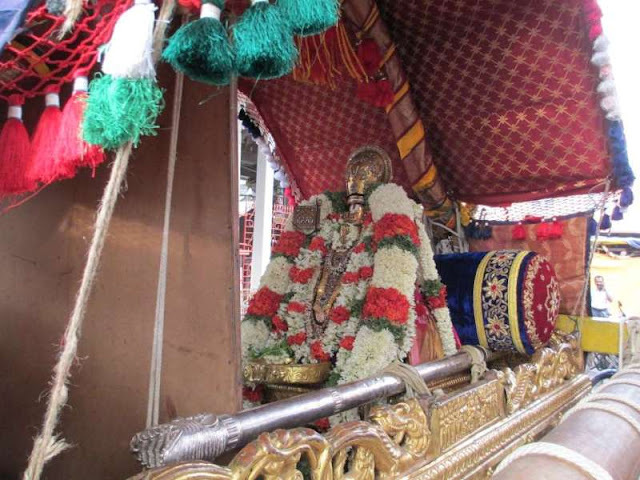 செங்கயல் வாவிகள் சீர்வயல்கள் சூழ்ந்த ஸ்ரீபெரும்புதூரில் இளையாழ்வார் எனும் ராமானுஜர் அவதரித்த நந்நாள். எம்பெருமானாரின் பிறப்பு உலகத்தவர்கள் உடனே பெறுதற்கான நண்ணறு ஞானத்தை அனைவருக்கும் அருளி அவர்களை ஸ்ரீமன் நாராயணன் இடத்தில் பக்தி செலுத்துமாறு மாற்றிய அவதார திருநாள்.